According to the National Association of Homebuilders, 91 percent of home buyers considered ENERGY STAR® windows to be desirable or necessary. 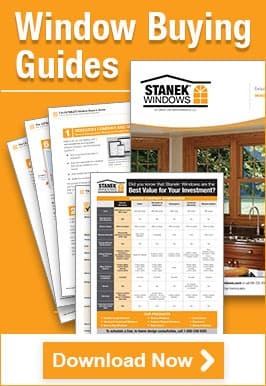 Stanek energy-efficient glass options meet all ENERGY STAR® requirements and block UV rays 90 percent more effectively than other glass. 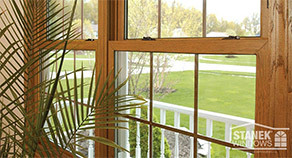 Windows that meet all ENERGY STAR® requirements are appealing to potential home buyers and could be one of the deciding factors when choosing to buy. 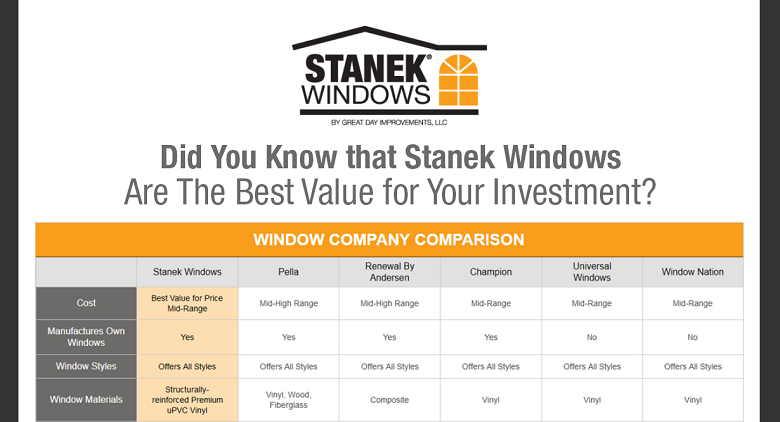 View our window company comparison chart to learn why Stanek offers the best value for your investment. 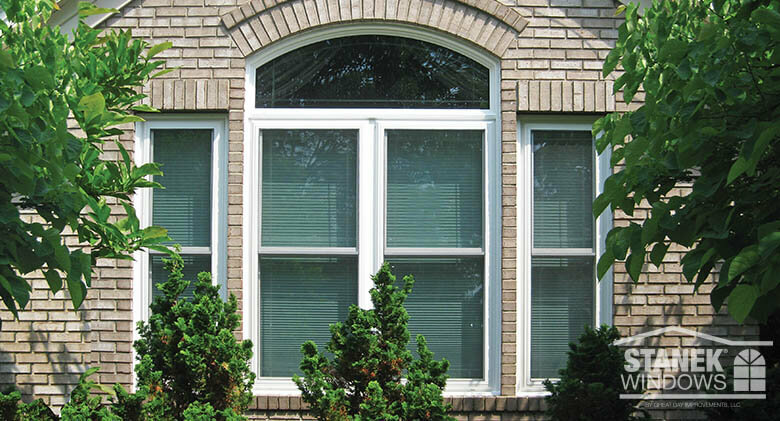 Are you ready to learn more about replacing your windows before you sell your home? Schedule your free, in-home estimate today or give us a call at 800-230-8301.